The iconic new gates for Queen Street will be launched next week, and everyone is welcome to come and join in the celebration. 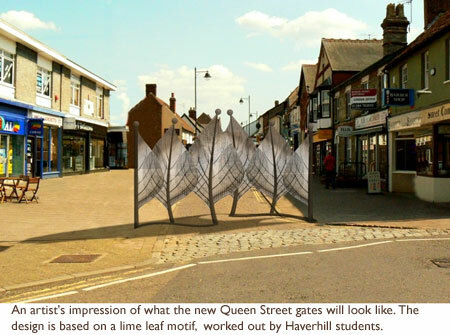 Two pairs of gates, conceived, designed and in part made by young people from Haverhill’s schools, will stand in Queen Street, the smaller pair at the Market Square end and the larger pair forming a new gateway to the town at the Lower Downs Slade end. At the launch, on Friday, July 16, at 1.30pm, the young people will put the finishing touches to the gates, aided by the town's MP Matthew Hancock and Cllr John Griffiths, leader of St Edmundsbury Borough Council, which has funded the project. 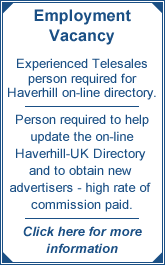 Mr Hancock said: “In my short time as MP for West Suffolk, I know what a go-ahead place Haverhill is. This is a town on the up with increasing confidence and a strengthening sense of identity so I am really looking forward to seeing these gates." “We want to share the wow factor so we are keeping the gates under wraps until the launch. "We hope lots of people will be able to come to the unveiling. I am so proud of what the young people involved in this project have achieved. Will Howe, (16), a year ten student at Samuel Ward who worked on the project, said: “We knew we didn’t want it to be an old-fashioned design, we wanted it to be about Haverhill today. "We are all aged between 13 and 18 and we combined all our ideas and came up with the design. We are really pleased with how the gates work and we really want to see them completed”.